Get your teacher to fill in the questionnaire and you could WIN with ShakeXperience. 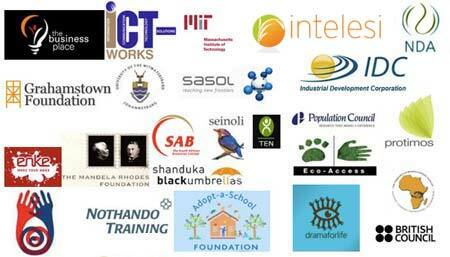 1st Prize: A 3-hour workshop for learners and teachers to the value of R10000 + an airtime voucher worth R500. 2nd Prize: A 2-hour workshop for learners and teachers to the value of R7500. 3rd Prize: Airtime voucher worth R750. 3. What is the price of the cheapest and most expensive of the shows attended? 6. What other shows would you like brought to your school or a theatre near you? 8. What is the seating capacity of the venue you mentioned above? 9. Which month is the best for a scheduled performance? 10. When do you usually have your circuit meetings? Or enter, by sending this questionnaire to: Shakexperience, P.O. Box 90913, Bertsham, Johannesburg 2031 or email it to bookings@shakexperience.com. Closing date: 10 December. This competitions is open to all schools in South Africa. ShakeXperience is a method that uses the arts to make teaching and learning fun and fast. Download PDF, and Post or Email it.